Seeds of Change - Heiner Benking's Blog - quergeist.info: ETHICS in Sport_s ? - Business_s ?? - WORLD_S ??? ETHICS in Sport_s ? - Business_s ?? - WORLD_S ??? 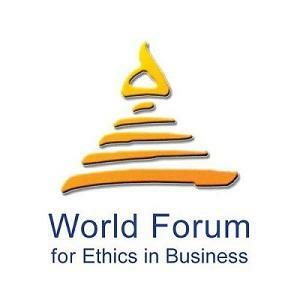 WORK IN PROGRESS - STAY TUNED The World Forum for Ethics and Business - a registered public interest foundation (“fondation d’utilité publique" in Belgium. The mandate of the Forum includes all manners of pursuing and establishing the indispensable ethical foundations of business in a globalized world. High Level, VIPs, Celebrities and Vanities, Sportspeople, Trainer, Media- and Businesspeople, Politicians,... what a gathering tonight ! * With Business people you can also talk about scales, proportions, and consequences and watchdogs... und Wächterräte. Quite different categorirs, languages, mindsets,... but in the depth also very close ! and so there was lots to share.... till very late !!! Stay on. I shared much about Yehezkel Drors New Leadership book: Avant-Garde POLITICIAN - Leaders for a New Epoche without EarthLiteracy!? And "to lead, to follow, or get out of the way", rules, plain level fields in many dimensions, on various interactive levels - and how such GLocal Realms should be used for a responsible strategy along and and across scales.